No Flying Car, But How About An Invisibility Cloak? We may not get flying cars or robot maids any time soon, but physicist Michio Kaku says other inventions just as amazing are in the pipeline: imagine a working invisibility cloak, teleportation, and contact lenses that display the Internet. X-ray vision will let fighter pilots see opponents underneath them. Our zoos will be filled with extinct animals resurrected through cloning. Even Neanderthals may one day walk again. Teleportation technology has already been developed at the atomic level, and we may in the future be able to teleport whole humans. Sound crazy? According to physicist Michio Kaku, all these technologies are not only possible, they're already in development. 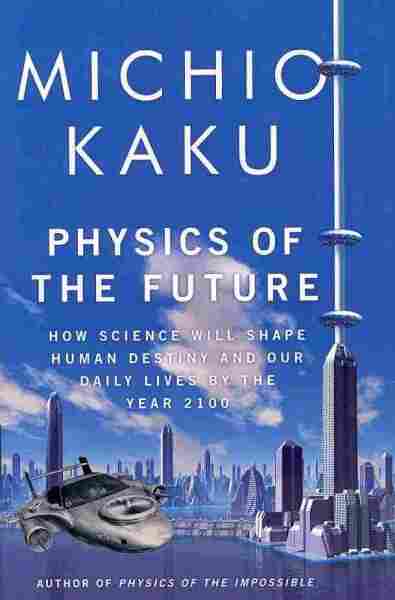 Kaku has written a new book, Physics of the Future: How Science Will Shape Human Destiny and Our Daily Lives by the Year 2100. He tells Weekend All Things Considered host Guy Raz that one of the most fascinating inventions coming our way is Internet-enabled contact lenses. "Think of what you can do," Kaku says. "When you meet somebody, your contact lens will identify who that person is, print out their biography next to that person's image, and then translate, from Chinese into English or whatever." He compares it to the technology Arnold Schwarzenegger's Terminator character used to identify his opponents. Stealth bombers will get a makeover in the future, Kaku says, when true invisibility technology becomes widespread. "I teach optics," he says, "and for years I used to teach the kids that invisibility was not possible. Well, I was wrong." Scientists have discovered a new substance called "metamaterials," that allows light to bend around an object and re-form on the other side, like a stream around a boulder. "This is the real McCoy," Kaku says. "This is the Harry Potter invisibility cloak." Some people might not be all that excited about these new technologies, Kaku admits. They might be frightened. But he points to the example of electricity — when it was first introduced, people found it intrusive and dangerous. And the dangers were real; electricity does cause frequent deaths and fires. "And you know something? We love it," Kaku says. "You get used to it. And later you say to yourself, how could I have lived without it?" In 1863, the great novelist Jules Verne undertook perhaps his most ambitious project. He wrote a prophetic novel, called Paris in the Twentieth Century, in which he applied the full power of his enormous talents to forecast the coming century. Unfortunately, the manuscript was lost in the mist of time, until his great-grandson accidentally stumbled upon it lying in a safe where it had been carefully locked away for almost 130 years. Realizing what a treasure he had found, he arranged to have it published in 1994, and it became a best seller. Back in 1863, kings and emperors still ruled ancient empires, with impoverished peasants performing backbreaking work toiling in the fields. The United States was consumed by a ruinous civil war that would almost tear the country apart, and steam power was just beginning to revolutionize the world. But Verne predicted that Paris in 1960 would have glass skyscrapers, air conditioning, TV, elevators, high-speed trains, gasoline-powered automobiles, fax machines, and even something resembling the Internet. With uncanny accuracy, Verne depicted life in modern Paris. How was Jules Verne able to predict 100 years into the future with such breathtaking accuracy? His biographers have noted that, although Verne was not a scientist himself, he constantly sought out scientists, peppering them with questions about their visions of the future. He amassed a vast archive summarizing the great scientific discoveries of his time. Verne, more than others, realized that science was the engine shaking the foundations of civilization, propelling it into a new century with unexpected marvels and miracles. The key to Verne's vision and profound insights was his grasp of the power of science to revolutionize society. In addition, in the 1950s another manuscript was uncovered which contained a sketch for a warrior automaton, wearing German-Italian armor, that could sit up and move its arms, neck, and jaw. It, too, was subsequently built and found to work. Like Jules Verne, Leonardo was able to get profound insights into the future by consulting a handful of forward-thinking individuals of his time. He was part of a small circle of people who were at the forefront of innovation. In addition, Leonardo was always experimenting, building, and sketching models, a key attribute of anyone who wants to translate thinking into reality. Given the enormous, prophetic insights of Verne and Leonardo da Vinci, we ask the question: Is it possible to predict the world of 2100? In the tradition of Verne and Leonardo, this book will closely examine the work of the leading scientists who are building prototypes of the technologies that will change our future. This book is not a work of fiction, a by-product of the overheated imagination of a Hollywood scriptwriter, but rather is based on the solid science being conducted in major laboratories around the world today. The prototypes of all these technologies already exist. As William Gibson, the author of Neuromancer who coined the word cyberspace, once said, "The future is already here. It's just unevenly distributed." Predicting the world of 2100 is a daunting task, since we are in an era of profound scientific upheaval, in which the pace of discovery is always accelerating. More scientific knowledge has been accumulated just in the last few decades than in all human history. And by 2100, this scientific knowledge will again have doubled many times over. "In his newspapers of January 1, 1900, the American found no such word as radio, for that was yet twenty years in from coming; nor "movie," for that too was still mainly of the future; nor chauffeur, for the automobile was only just emerging and had been called "horseless carriage. . . ." There was no such word as aviator. . . . Farmers had not heard of tractors, nor bankers of the Federal Reserve System. Merchants had not heard of chain-stores nor "self-service"; nor seamen of oil-burning engines. . . . Ox-teams could still be seen on country roads. . . . Horses or mules for trucks were practically universal. . . . The blacksmith beneath the spreading chestnut-tree was a reality." To understand the difficulty of predicting the next 100 years, we have to appreciate the difficulty that the people of 1900 had in predicting the world of 2000. In 1893, as part of the World's Columbian Exposition in Chicago, seventy-four well-known individuals were asked to predict what life would be like in the next 100 years. The one problem was that they consistently underestimated the rate of progress of science. For example, many correctly predicted that we would one day have commercial transatlantic airships, but they thought that they would be balloons. Senator John J. Ingalls said, "It will be as common for the citizen to call for his dirigible balloon as it now is for his buggy or his boots." They also consistently missed the coming of the automobile. Postmaster General John Wanamaker stated that the U.S. mail would be delivered by stagecoach and horseback, even 100 years into the future. This underestimation of science and innovation even extended to the patent office. In 1899, Charles H. Duell, commissioner of the U.S. Office of Patents, said, "Everything that can be invented has been invented." Sometimes experts in their own field underestimated what was happening right beneath their noses. In 1927, Harry M. Warner, one of the founders of Warner Brothers, remarked during the era of silent movies, "Who the hell wants to hear actors talk?" And Thomas Watson, chairman of IBM, said in 1943, "I think there is a world market for maybe five computers." Predictions for the future, with a few exceptions, have always underestimated the pace of technological progress. History, we are told over and over again, is written by the optimists, not the pessimists. As President Dwight Eisenhower once said, "Pessimism never won a war." 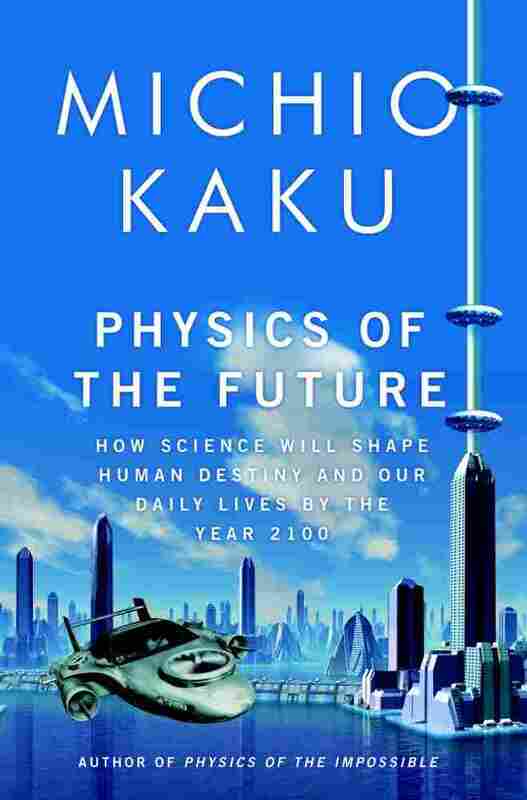 Excerpted from Physics of the Future by Michio Kaku. Copyright 2011 by Michio Kaku. Published by Doubleday. All rights reserved. Reprinted by permission of Doubleday.